Links for Employee access will be found here. 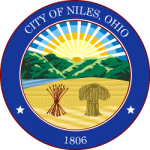 © 1806 - 2018 City of Niles. All Rights Reserved. Unauthorized duplication without express consent is strictly prohibited.